Platform 22 is a small bright gallery & coffee house exhibiting work by resident ceramic artist Emma Pattullo and a selection of original artworks, jewellery, prints and handmade cards. The gallery is open to the public Tuesday to Saturday 10am to 5pm and Sundays 12pm to 5pm year long. 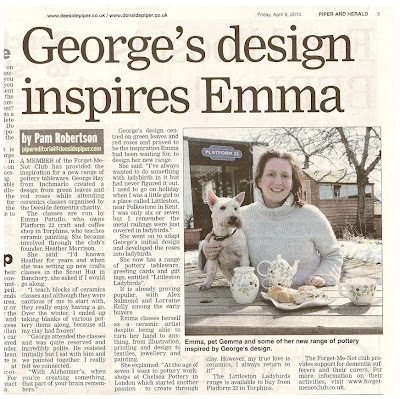 I am a ceramic artist living and working in Torphins, Aberdeenshire from my studio at Platform 22. My time in the studio is divided between commissions, exhibition work and tutoring. I am happiest expressing my ideas through clay, creating richly colored‚ decorative and tactile pieces of ceramics, which combines and plays with the functional boundaries and sculptural concepts. 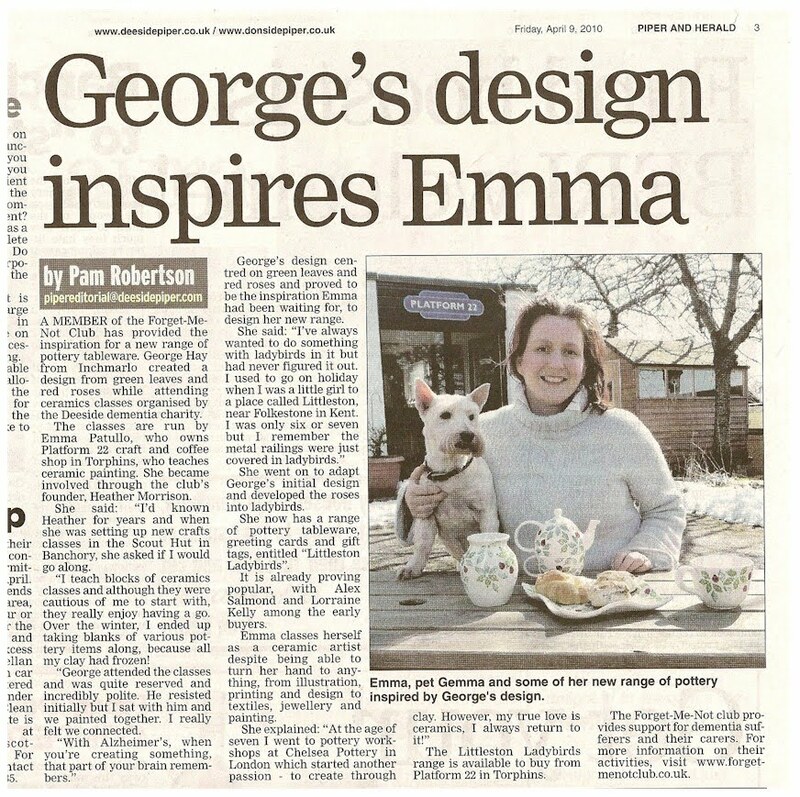 For more information about Platform 22's exhibitions and events, or, Emma's ceramics, commissions and workshops please don't hesitate to get in touch. North East Open Studios (NEOS) is an award winning collective of artists, makers and galleries based in northeast Scotland, who open their doors to the public yearly. Dates for NEOS are confirmed as 11-19 September 2010.